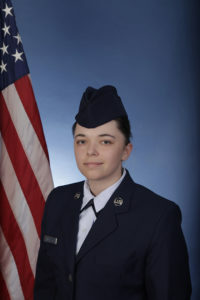 U.S. Air Force Airman Janaye V. Dotson graduated from basic military training at Joint Base San Antonio-Lackland, San Antonio, Texas. Dotson is the daughter of Jamie Dotson, and granddaughter of James and Susan Pike, all of Sand Lake, Mich.
Janaye is a 2017 graduate of Tri County High School, Howard City, Mich. This is a correction to the article we ran last week from the Hometown News Service that had incorrect information regarding family.